We've added Swiss national road race cycling champion Nicole Hanselmman to Ladies in Framlingham. Rural Myth 77: In Suffolk a homosexual is a man who likes women better than tractors. Life Skills 23: If you enjoy hearing Desert Island Discs Sunday morning you might like its slightly posher cousin Private Passions which follows on Radio 3. The chosen music often has a wider range and presenter Michael Berkeley's musical knowledge and resonant voice add a further dimension ... just saying. JOB Enthusiastic small animal vet wanted in Framlingham. 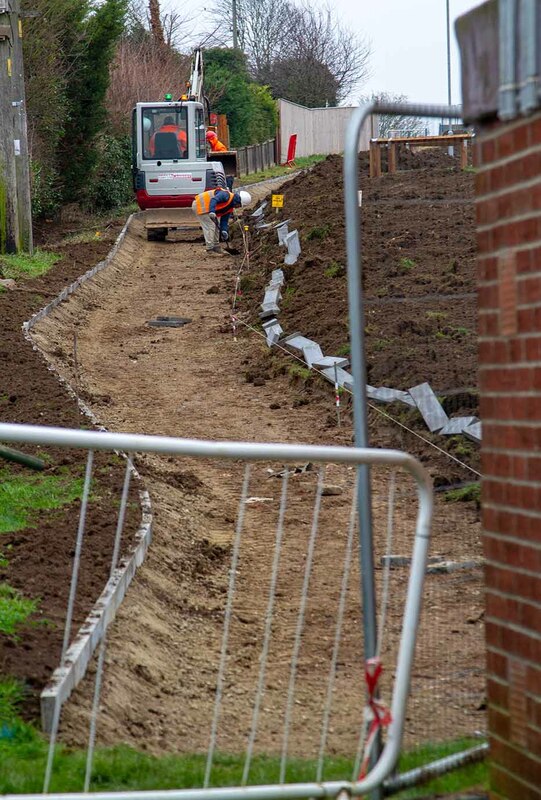 Though we are and always will be blow ins we do remember Love Lane off Brook Lane and the footpath across the Fen Meadow Framlingham being surfaced. Certainly surfacing Love Lane made life easier for pram pushers taking older children to Bobby Hitchams but it did feel like suburbanisation. 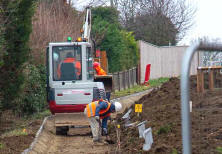 Now it's the footpath off Fairfield Road's turn. Suffolk does seem to get through chief constables, Steve Jupp will be the fourth in six years ... just saying. The Suffolk joke is There's a bloke in our village who's been to Norwich ... well he had to. We rather like Norwich with its market that always reminds us of a souq and it now has its own section on here. As Lady KRJ observed of Framsden soprano Laura Wright you think of her as looking cold in an evening dress on a rugby pitch whilst fluting the national anthem. In unseasonably good weather she certainly didn't look chilly wedding at St Michael's Framlingham just before Christmas and as expected at a wedding statement hats. near the coast house sales review 2018. Just taken down the Christmas cards and in the manner of brown wheelie bins re-purposed the Christmas lights ... some might say a day late. 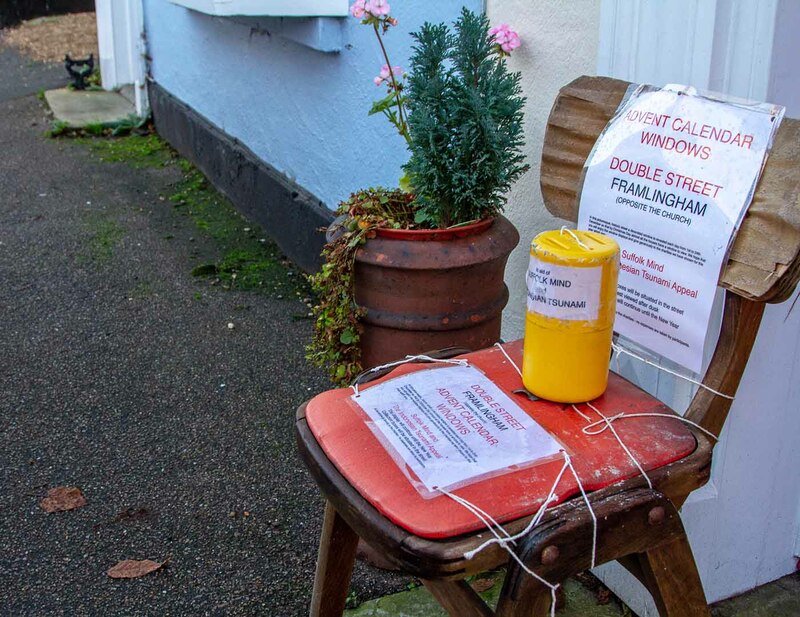 Gill Knight reports that the advent windows in Double Street Framlingham raised £640 for the two charities. Three year old Idris wasn't too sure about the cow and donkey peeking out of the stable at the Castle Street end and wouldn't come near to stroke them. A bit techie but if you have your own web site this might be interesting. We hadn't visited Google's PageSpeed Insights for quite a while. Today we discovered it's had a major makeover, doesn't optimise graphics anymore and it looks like Lighthouse buried in the Chrome browser is more useful. (Lighthouse didn't like our robots.txt file but 100 speed score.) Yes, we're confused too.